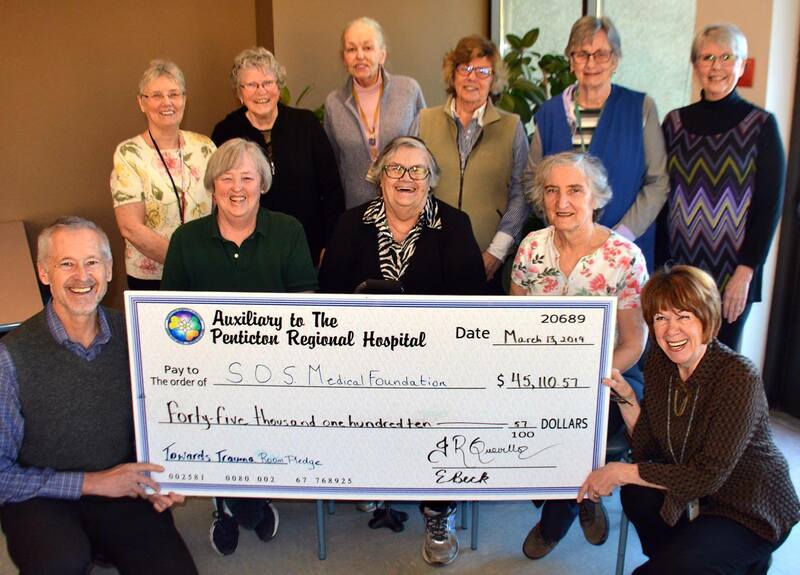 All we can say is “Wow!” Just three months after the Penticton Hospital Auxiliary fulfilled its original $250,000 pledge to the SOS Medical Foundation’s campaign to provide the medical equipment for the PRH expansion, they’ve donated again. Now the Auxiliary has presented more than $45,000 to help acquire medical equipment for the upcoming upgrade to the hospital’s Emergency Department – a key part of the second phase of the PRH project. Construction will start in the next few months, after the opening of the new David E. Kampe Tower on April 29th. There’s no doubt that Volunteers rock! Thanks everyone – simply incredible! 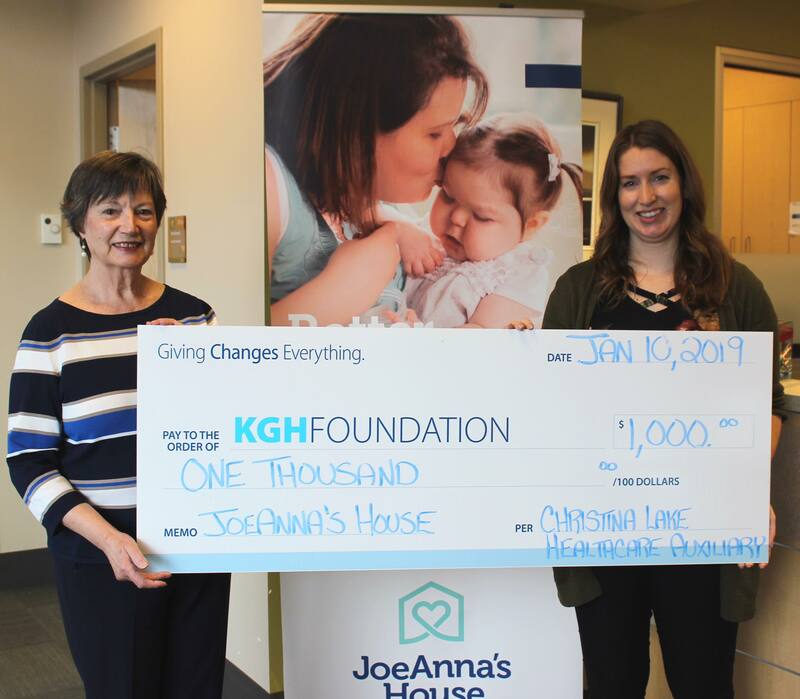 Building community connections: the Christina Lake Auxiliary makes a donation, through the Kelowna General Hospital Foundation, to JoeAnna’s House, a “home away from home” for families and patients needing accommodation. Past president Sally Caisley was on hand to present the cheque. 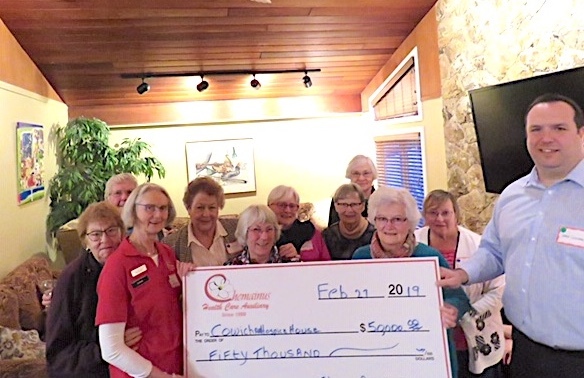 In February, members of the Chemainus Health Care Auxiliary were treated to a thank-you pizza night from the Cowichan Valley Hospice Society. The Auxiliary used this opportunity to present a $50,000 cheque which completes their $300,000 overall donation. A wonderful evening was shared with other volunteers connected with the Hospice Society. Seen in the photo are Chemainus Auxiliary volunteers, president Susan Beaubier, and Jamie Goodman, president of Cowichan Valley Hospice Society. 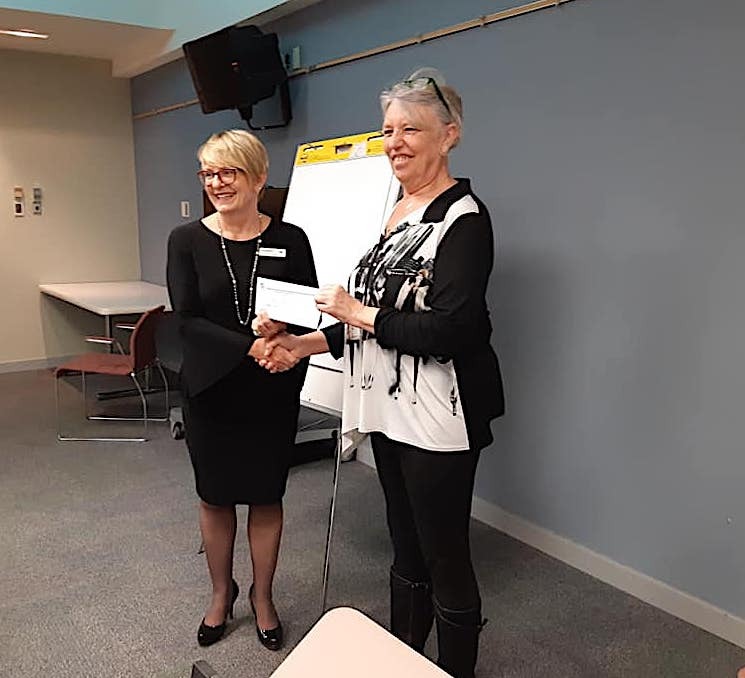 On Friday, March 1, 2019, Carole Rothnie, President of South Cowichan Healthcare Auxiliary and Ivy Bowidge, Treasurer, presented Gretchen Hartley, Executive Director of Cowichan Hospice, with a $3,125.84 cheque. This amount was raised in just two hours, thanks to the Beer and Burger and the Silent Auction in which the 50 donated items received generous bids from ticket holders knowing it was for the Hospice. Tickets for the February 17 Beer and Burger and Silent Auction were quickly sold out. 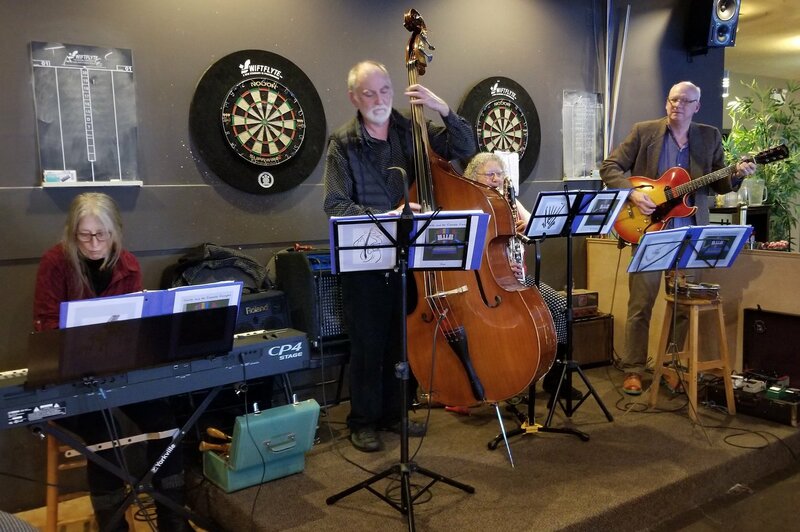 The successful evening featured the Lakeside Loungers whose excellent music drew praise and an appreciation of their talented playing and entertaining show at the Cow Bay Pub. 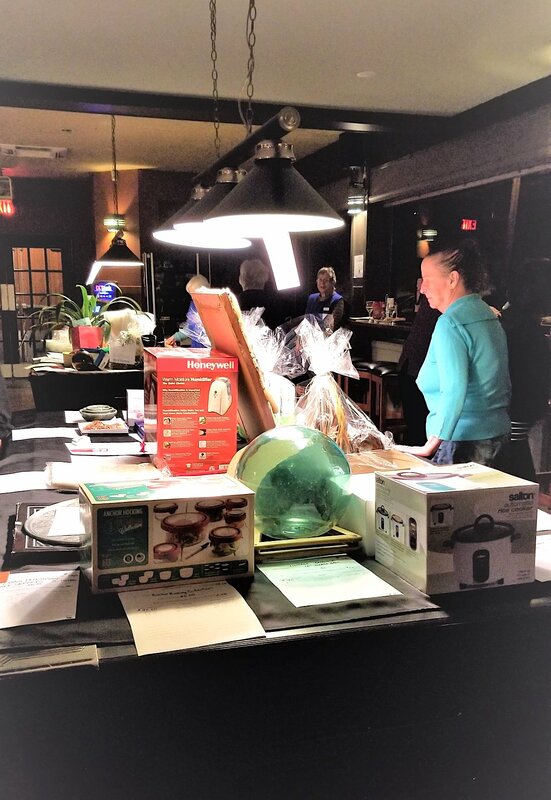 The South Cowichan Healthcare Auxiliary would like to thank all the businesses and individual local Artists, and all the Auxilians who donated items and time to the Silent Auction and to the special evening. 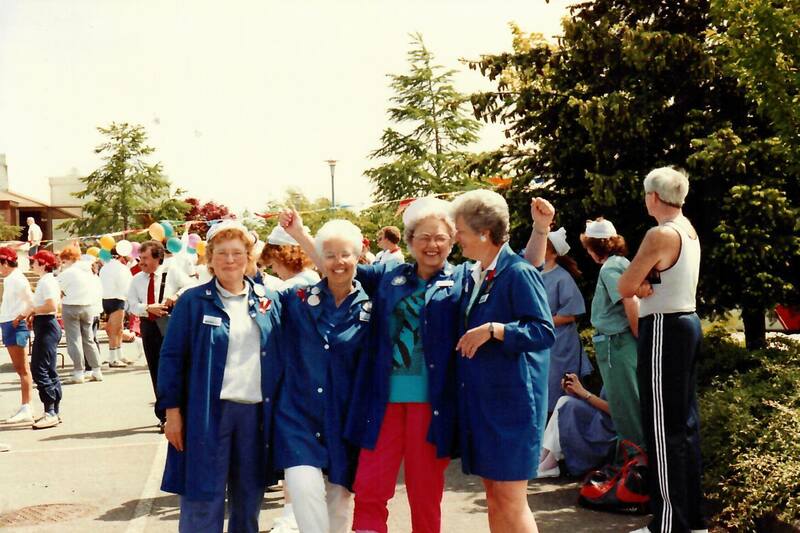 Lower Mainland Area Director Carole Murray (left) attends a Board meeting and visits with Auxiliary volunteers at Lions Gate Hospital in North Vancouver. Auxiliary President Lee Ann Lambert welcomed Carole and introduced her to volunteers at the hospital’s Dogwood Gift Shop. 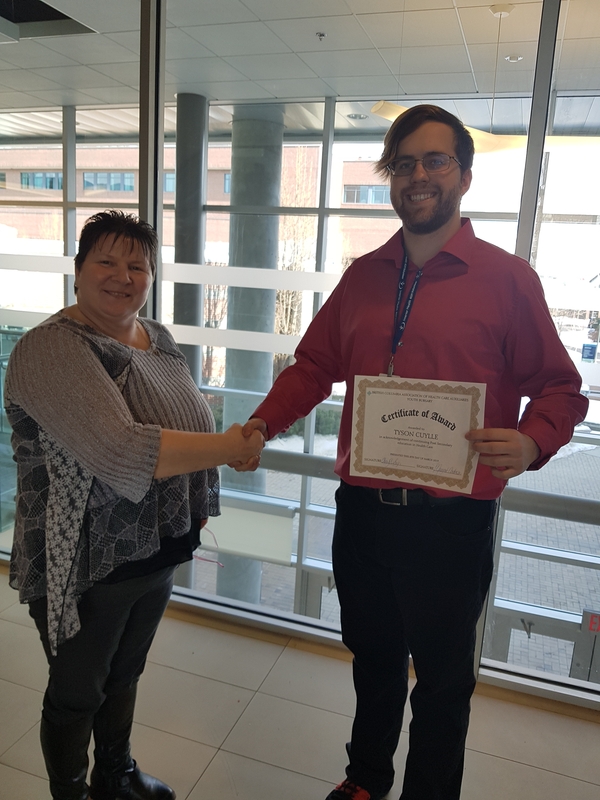 Also busy and committed to connecting with her member auxiliaries is Okanagan Mainland Area Director Cheryl Frey, shown here granting a BCAHA bursary certificate to Kelowna student Tyson Cullye. 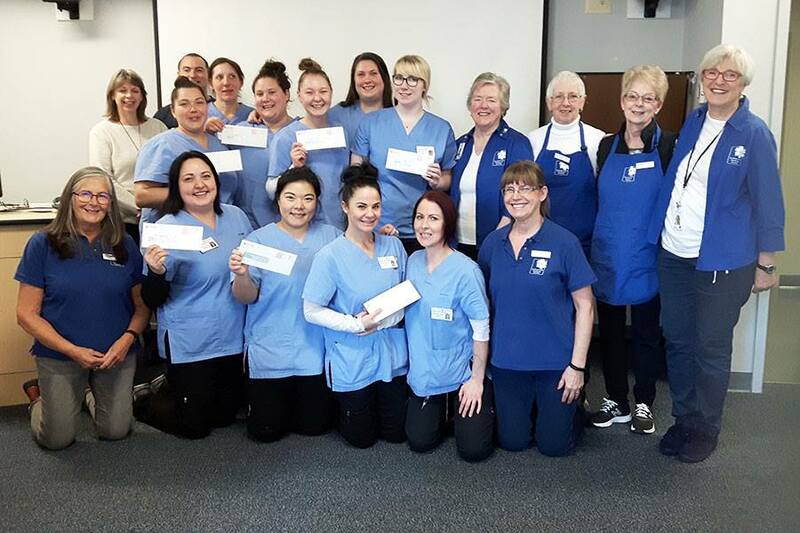 On March 5th, representatives from the Hopkins and Halfmoon Bay branches of the Sunshine Coast Healthcare Auxiliary presented the graduating class of the Healthcare Assistant Program, Capilano University, Sechelt campus, with cheques for $400 each, in recognition of their hard work and dedication to their new career in healthcare. Earlier, the Auxiliary had also provided $1,000 bursaries to three “mature students” to assist with tuition costs. Shout out to PetSmart PoCo. 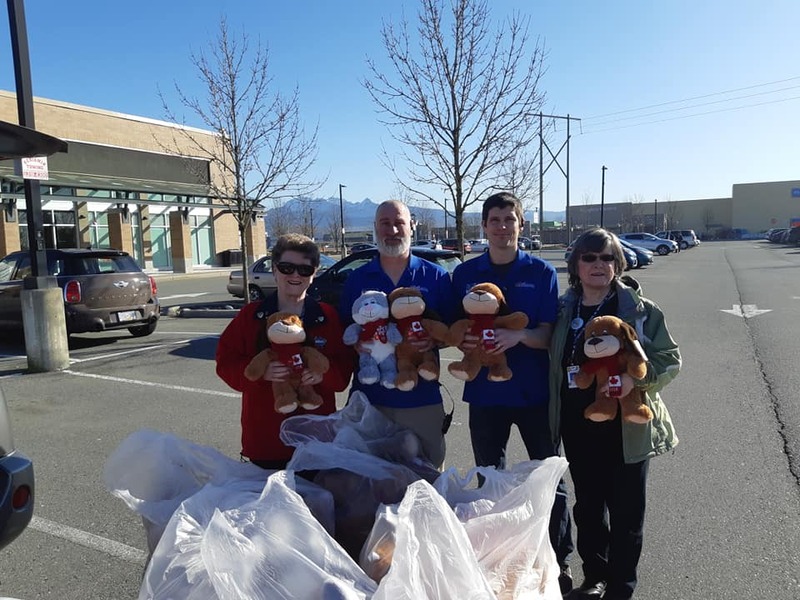 Huge donation of stuffies for the Trauma Bear program at Eagle Ridge Hospital ER dept. Many thanks to Managers Lee Rayson and Rodger Steinmann and Auxilians Cynthia Cooper and Deedee Dowsen. Auxiliary to Cowichan District Hospital has a great bunch of knitters/needlers that do so much great work, a lot of it has been posted. They knit and crochet at home, wherever they go and they meet once a month to share their work. We are so proud of our members and friends of the auxiliary that create such magic. This is just one part of our auxiliary. We have the best auxiliary and we are always looking for new members. Here are a few pictures of our ladies at work. 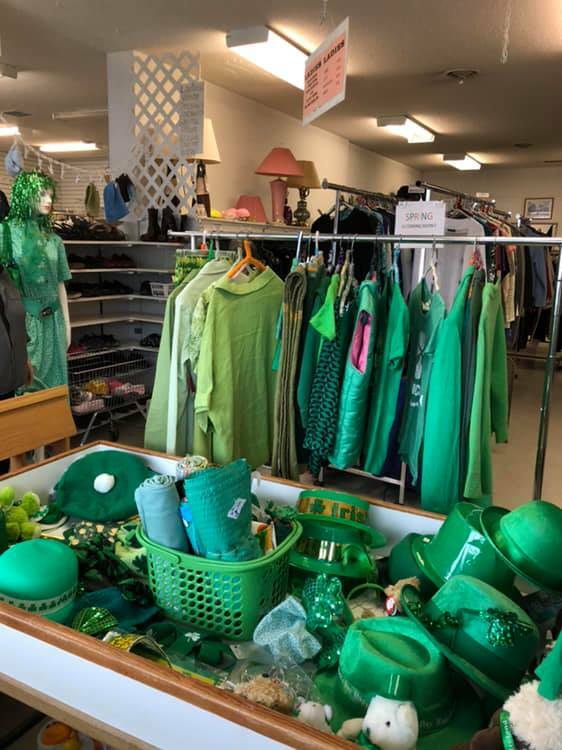 St. Patrick ‘s Day is this Sunday! Stop in to pick up a suitable shirt, decorations or fascinator!! Lots to Choose from!! 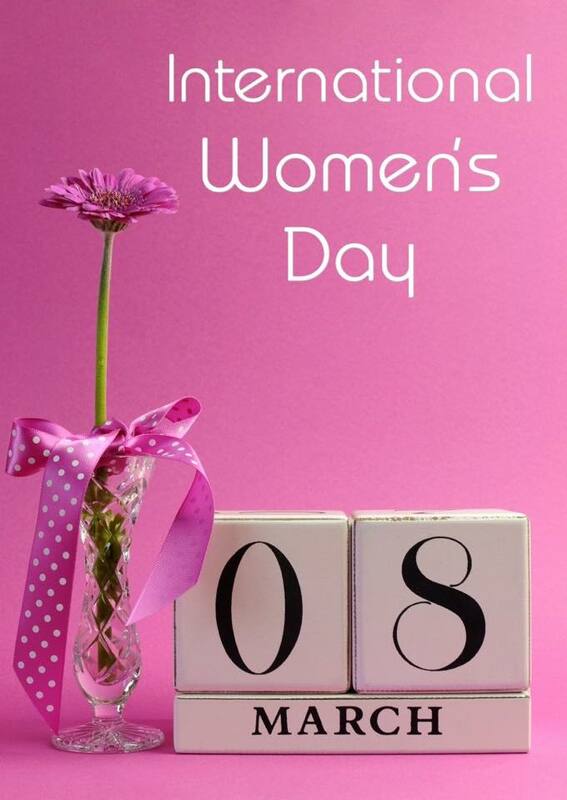 Happy International Women’s Day to all you wonderful women. Thank you to our fabulous women volunteers! 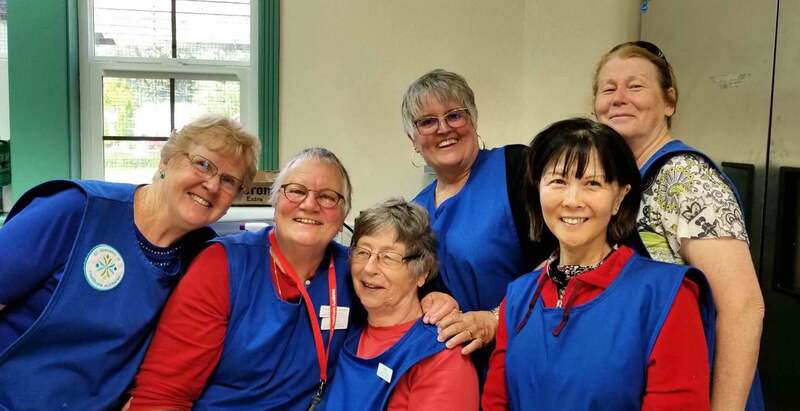 International Women’s Day is an opportunity to say “thank you” to the hundred and hundreds of women who have volunteered their time and energy to provide care and comfort at the Delta Hospital. Our latest check to Eagle Ridge Hospital Foundation. I am so proud to be a member of our Auxiliary. Thank you to all our members and supporters who have made this possible. We Rock!! Eagle Ridge Hospital Foundation You do rock! Thank you so much for the incredible support and donation! You are true leaders in our community and we are proud to partner with you to grow the Hospital and health care services for our residents! 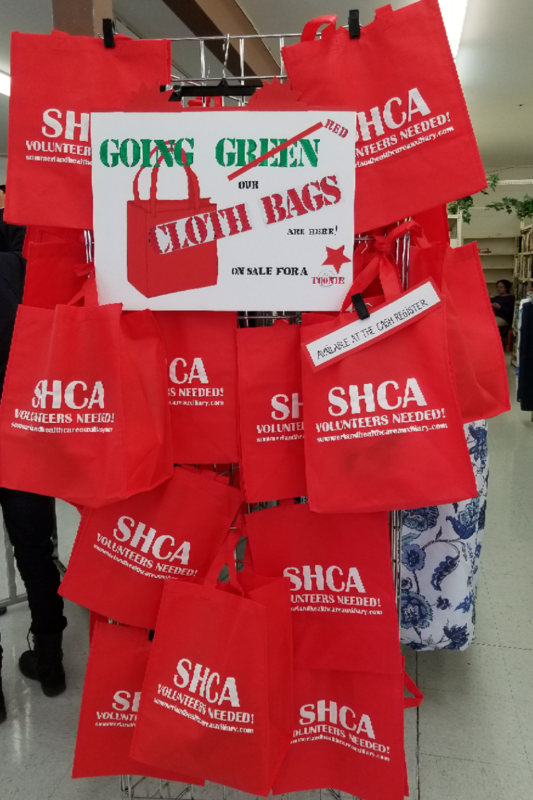 Go green with our reusable cloth bags for $2. 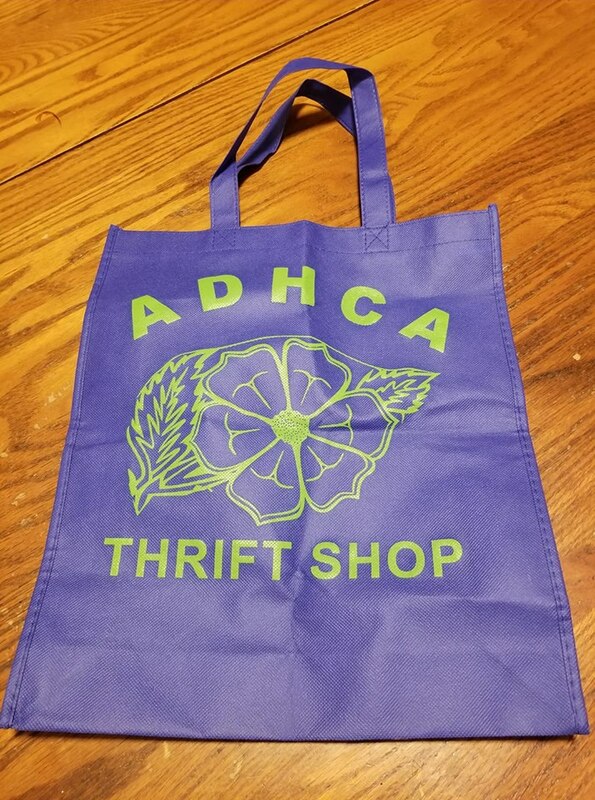 Do you have one of our reusable shopping bags? Dig it out and bring it in to get $1 off our almost final winter bag sale. Regular price is $4 for a bag full of clothing or $7 for two bags! As always, we couldn’t do what we do without your support! Thank you! Thank you Penticton Hospital Auxiliary for helping us get to where we need to go in our van! 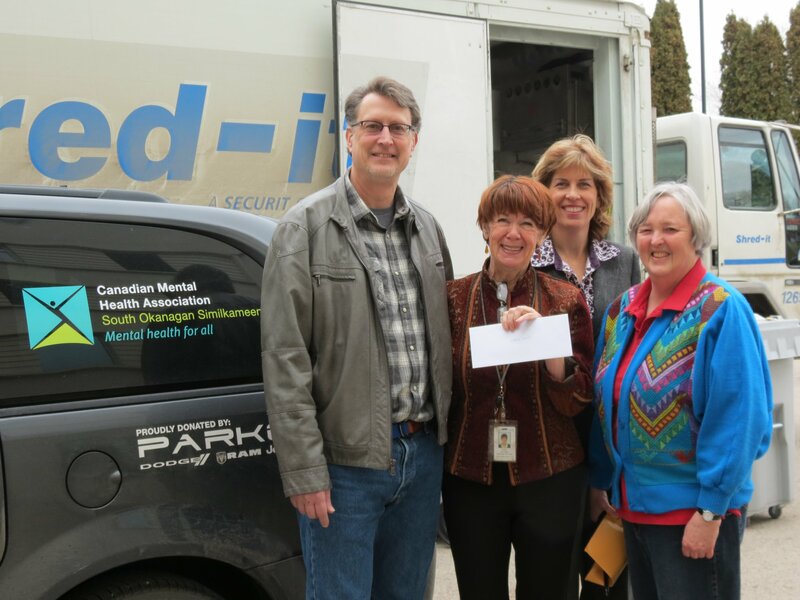 We received a generous $1,000 donation from the Penticton Hospital Auxiliary, for new winter tires for the Dodge Caravan.